Surgeons of Hope is thrilled to announce its recent expansion to Paraguay! Beginning on March 15th, the organization conducted a week-long surgical, interventional and training mission at the Children’s Hospital of Acosta Ñu, the only public hospital solely dedicated to infants and children in the country. This mission would not have been possible without the help of Surgeons of Hope’s partners from the Hospital General Universitario Gregorio Marañón and the Hospital Universitario La Paz, whose medical expertise and training skills made this mission a resounding success. Surgeons of Hope is also grateful to Medtronic and Bioline for their generous donation of much needed medical supplies, including catheters, guidewires, balloons and stents, and to Menudos Corazones, for the educational and emotional support it provided for the families on this journey of treatment and recovery. Initially, the mission planned to complete life-saving interventions on 20 children. 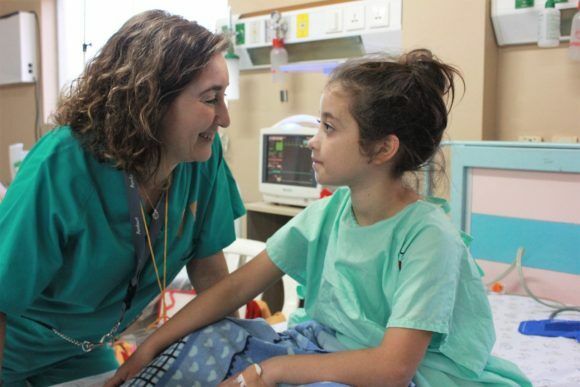 However, due to the immense team spirit and dedication exhibited by the local and international medical teams, a total of 33 life-saving interventions –including 8 open heart surgeries and 25 interventional catheterizations– were performed. In just one week, more interventions through catheterizations were achieved than in the past three years, on patients ranging from one month to 17 years old. When undergoing cardiac repair or palliation through catheterization, patients are able to leave the hospital 24 hours post-intervention, as it employs a minimally invasive technique that leaves no scars on the chest. Instead, it is done by threading catheters through blood vessels until they reach the patient’s heart and vessels, allowing for a more comfortable and faster recovery. For every two open heart surgeries performed, four patients came out of the catheterization room. While the hospital has a Catheterization (Cath) laboratory, it does not have sufficient local expertise or the necessary supplies to routinely and efficiently use it. 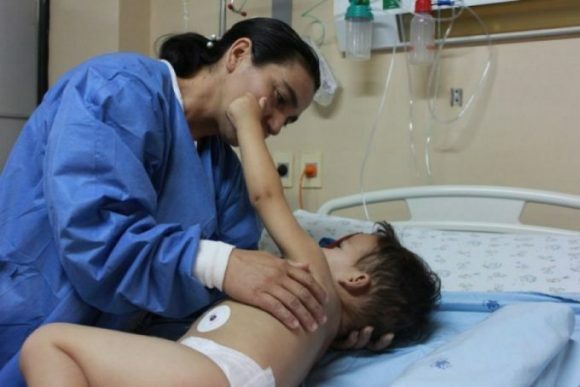 In order to resolve this issue, Surgeons of Hope is creating a fund to provide training and supplies to optimize the capabilities of the catheterization program. To this date, there are still over 300 patients on the waitlist for life-saving heart surgery or interventional catheterizations. Additionally, we project around 500 newborn patients with a congenital cardiac malformation delivered every year. Surgeons of Hope needs your help to bring the Children’s Hospital of Acosta Ñu Catheterization Program to life, which, encompassed with an active cardiac surgical program, would ultimately ensure that all of these children have the opportunity to live healthy and productive lives. Surgeons of Hope would greatly appreciate any donations, small or big, to help them make this vision come true. Thanks to your generosity, our teams are saving more children than ever before. We are deeply grateful for your commitment to Surgeons of Hope.